Not a Monday to Friday 9 to 5 Job! The Gamekeeper job is definitely not Monday to Friday or 9 to 5. 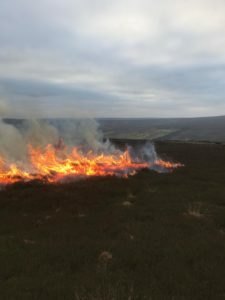 These images were taken yesterday and due to the seasonal window and weather restrictions attached to burning this is why weekends on the NorthYork Moors at the moment are very busy. 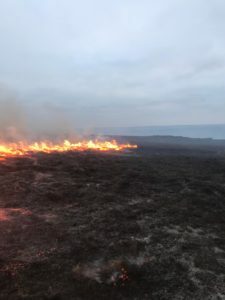 The controlled burning of heather is undertaken between the 1st October and 15th April. 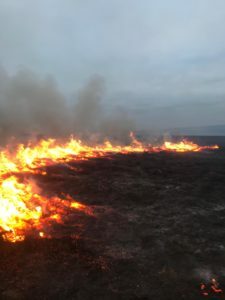 This is the safest time possible as the soil should be wet so the chance of burning into the peat is minimal therefore ensuring a cool burn. eing created at the moment will minimise the risk of wildfires during the warm dry summer months.